White Hart and Red Lion, the extent of history conveyed by pub signs, a campervan stacked with survival rations of Pork Pie and Pinot Grigio, that is how this most entertaining ‘support book’ takes on its mission. – So Edward IV, he was Prince Edward, before he became King? – No, that’s not the same person, his father was Richard Plantagenet. – Hahaha, no, the Duke of York. – Hmpf, if you say so, but Henry IV, he’s a Bolingbroke, not a Plantagenet, isn’t he? – You mean Prince Hal’s father, he is both, and the son of John of Gaunt. At this point, our own conversations usually ended, over much confused head-shaking. The nobility’s habit of sporting multiple names, including the option to change them, and job titles, repeatedly and for dubious reasons, made the genealogy part of Shakespeare’s history plays near impenetrable – probably not just for me. 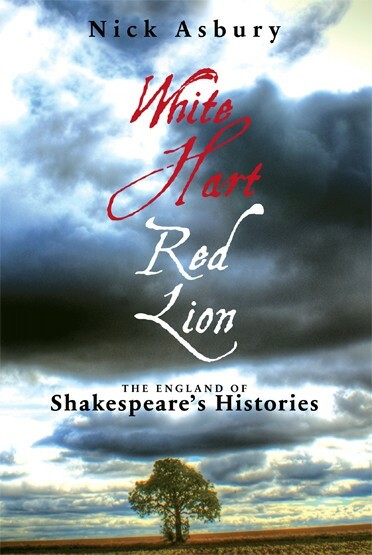 Nick Asbury’s book “White Hart Red Lion, The England of Shakespeare’s Histories” appeared, as a stroke of genius, at exactly the right time, just before the circle started with David Tennant on stage in Stratford-upon-Avon as Richard II and well ahead of next year’s Henry IV Part I&II. As opposed to the many historical summaries I have consulted for a way out of my royalty confusion, Nick Asbury sets his untangling of history’s players into some kind of road movie scenario, from the perspective of a Histories player. As an actor, who has been under the skin of many a highborn participant in Shakespeare’s history plays, Nick follows the development from Richard II, via famous and less famous events and characters, through to Richard III’s undoing at Bosworth, along the English (and occasionally, French) roads and rivers that set the backdrop for 100 years of feuds, wars and bloodshed. Nick Asbury’s vivid description, always connected to a sense of place and some helpful trivia, the combination of these three elements makes it a lot easier to understand the connections and changeovers of the multi-named lot. An occasional glance at the map and the family tree right at the front helps solving residuary puzzles. 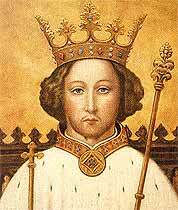 For those of us who were never quite sure what Aumerle had to do with the hapless Richard II – this is the way to find out. A very enjoyable read, and a problem solver! A criticism? Just the one: Jeanne d’Arc should have deserved the mention of her birthplace, Domrémy, some 221 miles away from Orléans. But otherwise: great! 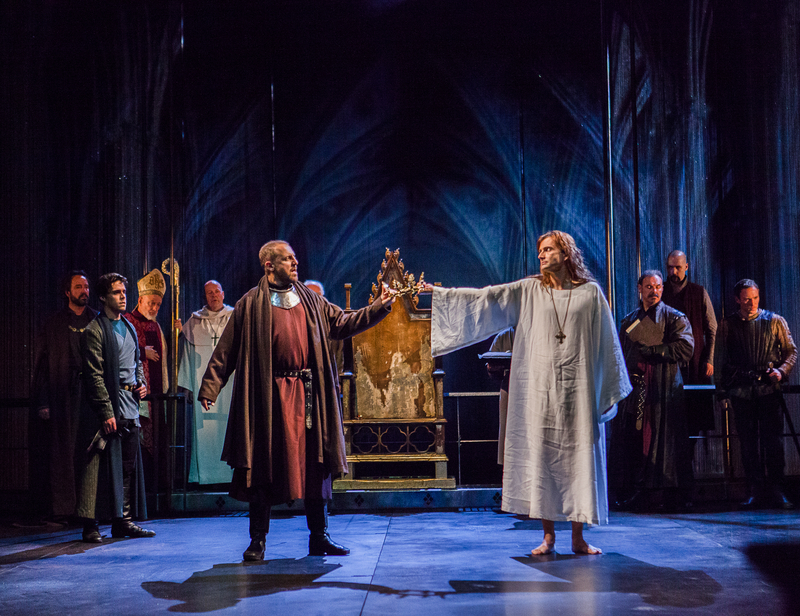 This entry was posted in Books, Uncategorized and tagged David Tennant, Henry IV of England, Henry IV Part 1, Henry V, Nick Asbury, Oberon Books, Richard, Richard II, Royal Shakespeare Company, Shakespeare, Shakespearean history on October 15, 2013 by lingonews.